As I write this post I write not only to you the reader but also to myself. Since the new year arrived, I have been posting on Twitter and Facebook for us not to carry our luggage from 2012 and before into 2013 to remind us how luggage can and does slow us down. Of course like many things, it is easier said than done; however, we must find a way to check our luggage at the counter, curbside or at a kiosk of 2013. The metaphor of luggage is truly appropriate in terms of the things that we carry from one year to the next that constantly weigh us down. When you think about it, even at the airport you are only allowed to check a certain amount of luggage with each bag only allowed to weigh but so much. Ironically, dependent upon the airline you are travelling with you are now even charged a fee to check your luggage; so luggage costs. The luggage of life also costs. So let us go into 2013 determined to be able to run like Jerry Seinfeld is running and not be bogged down by luggage like Elaine. I wish all of us a blessed, luggage free and prosperous new year. I welcome your feedback in the commentary section as well as by visiting the "feedback" tab on the right had side of your screen. I also invite you to follow The Critical Thinker on Twitter @thinkcritical01. The Critical Thinker podcast can be heard at www.thecriticalthinker.podbean.com. To all of you who take the time to read The Critical Thinker, I say Happy New Year to you and thank you. I realize that you do not have to take the time to read The Critical Thinker and for that I am truly grateful. I look forward to providing more thought provoking posts in 2013 because I truly believe that we as Americans are always being intentionally misinformed. The objective of The Critical Thinker is to cause the reader to pause and think about what is being shared with us via the media, advertisements, events, etc. Rev. Dr. Martin Luther King, Jr. said it best when he said "Rarely do we find men who willingly engage in hard, solid thinking. There is an almost universal quest for easy answers and half-baked solutions. Nothing pains some people more than having to think." The purpose of The Critical Thinker is to provoke you the reader to willingly engage in some hard, solid thinking. You don't have to agree with my view, but at least give the subject at hand some additional thought compared with just glossing by it and taking everything that is fed to us as the truth. With that in mind I have also launched The Critical Thinker Podcast and it can be visited at www.thecriticalthinker.podbean.com The podcast allows me to speak about the various topics, many written here in the blog and some that are not. So I encourage you to subscribe to The Critical Thinker Podcast in ITunes to be challenged to think even more. The latest edition of the podcast can be found at http://thecriticalthinker.podbean.com/2012/12/31/happy-new-year-happy-2013/. I look forward to your feedback in the comment section and by clicking on the red "feedback" tab located at the right side of your screen. You can also follow me on Twitter @thinkcritical01. 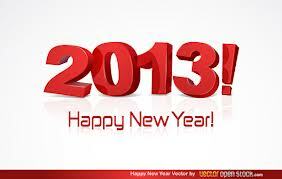 May your 2013 be blessed and prosperous.